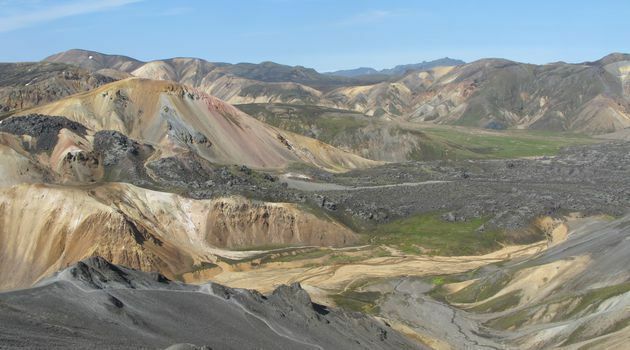 A scheduled bus from June 21st to September 9th - from Reykjavík to Landmannalaugar. We have three pick up points in Reykjavík: City hall in downtown Reykjavík (Vonarstræti 4). Departures at 7:30 and 12:30. Laugardalur campsite. Departures at 7:45 and 12:45. Miklabraut by the 10/11 store next to Kringlan shopping mall. Departures at 8:00 and 13:00. A ride with our highland bus from Reykjavík to Landmannalaugar.